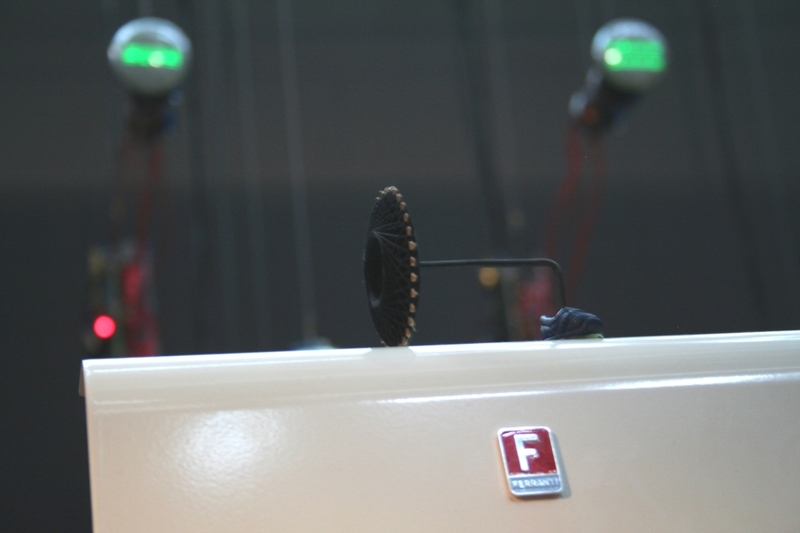 MY WISH DEVOTEDLY PRIZES YOUR SYMPATHETIC FERVOUR. YOU ARE MY KEEN DESIRE: MY LITTLE PASSION: MY DEAR LONGING: MY PRECIOUS THIRST. 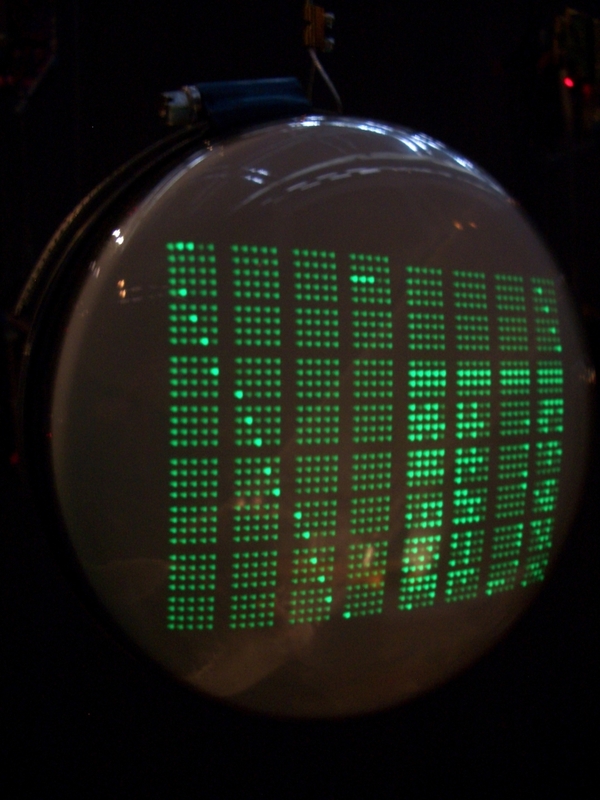 The acronym M.U.C. 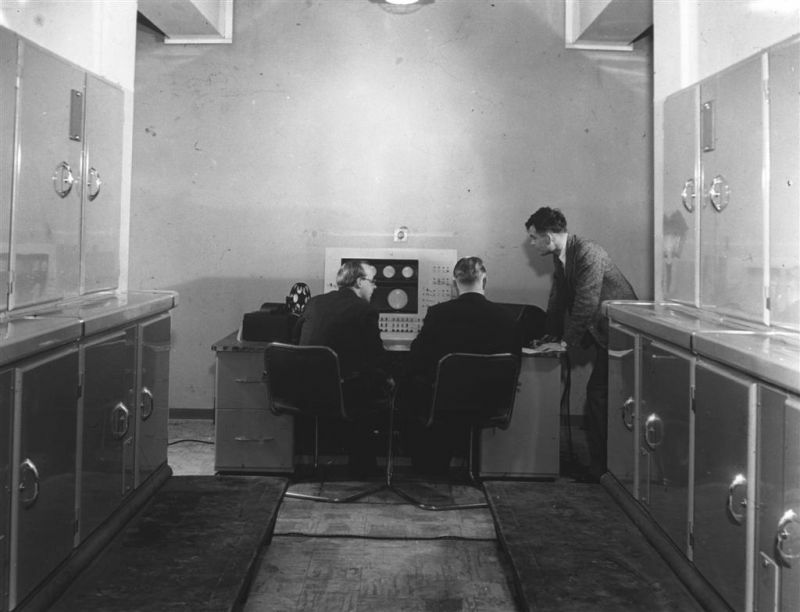 stood for “Manchester University Computer”, the earliest electronic, programmable and universal calculating machine worldwide; the fully functional prototype was completed in June 1948 and was based on Williams tubes as means of volatile storage. One of the very first software developers, Christopher Strachey (1916–1975), had used the built-in random generator of the Ferranti Mark I, the first industrially produced computer of this kind, to generate texts that are intended to express and arouse emotions. 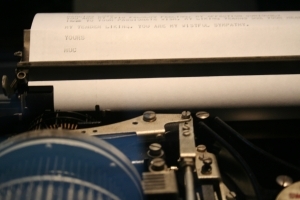 “LoveLetters_1.0” consists of two parts. 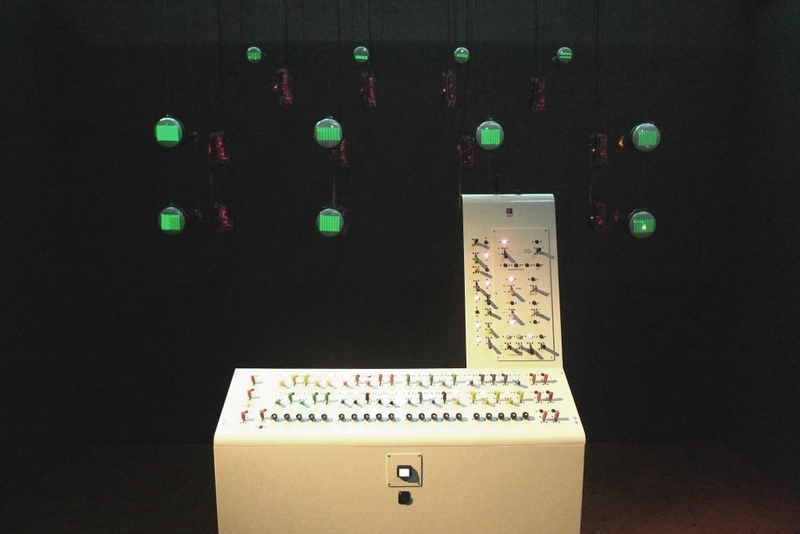 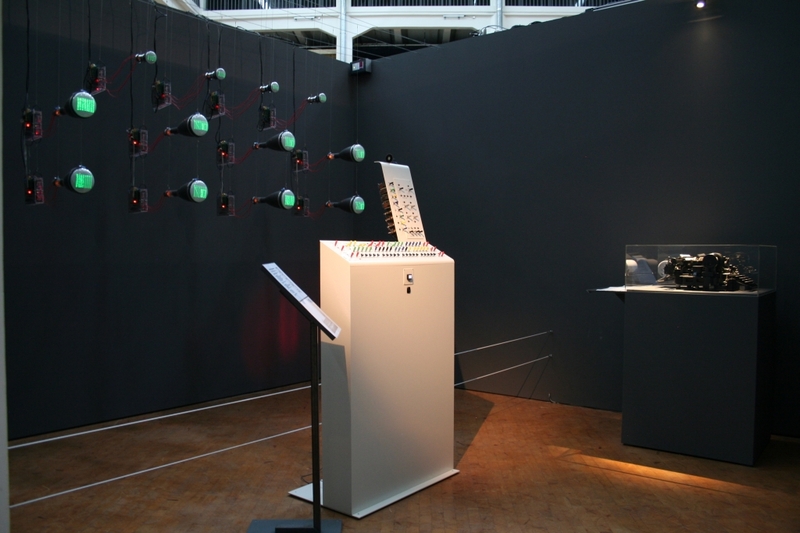 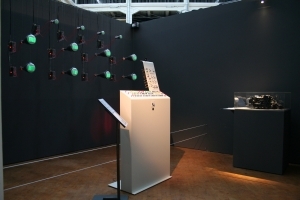 In the installation, the visitor interacts with a functional replica of the Ferranti Mark 1, which conveys an impression of the different components and the functionality of the first computer. By executing the original code of Strachey’s software, it continuously generates loveletters. 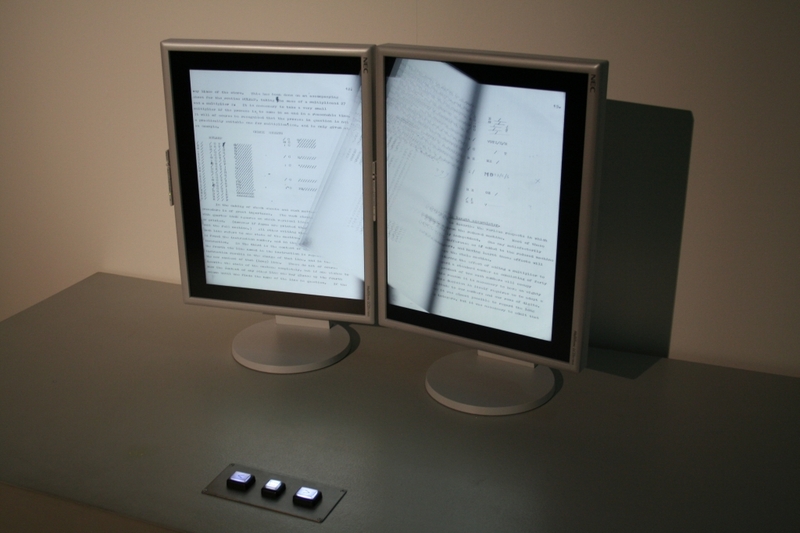 These are projected on a large screen at another location, in public space, where everybody can read it. 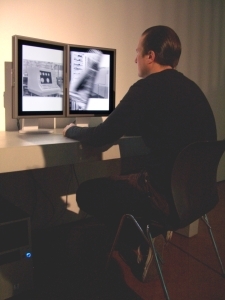 A monitor in the installation allows to observe the remote projection. 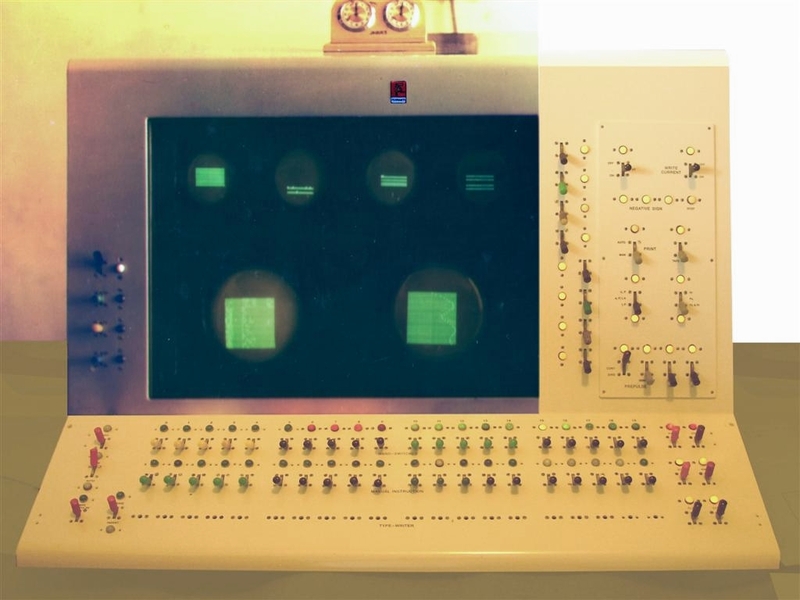 If the visitor manages to compose his or her name on the switches of the console using the five-bit code the machine was originally programmed in (Baudot), the loveletter will carry this signature. “LoveLetters_1.0” allows people to publicly adress algorithmically generated loveletters to each other. 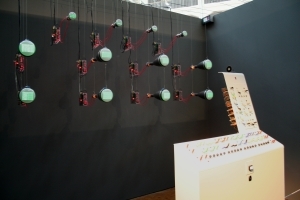 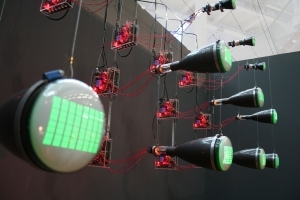 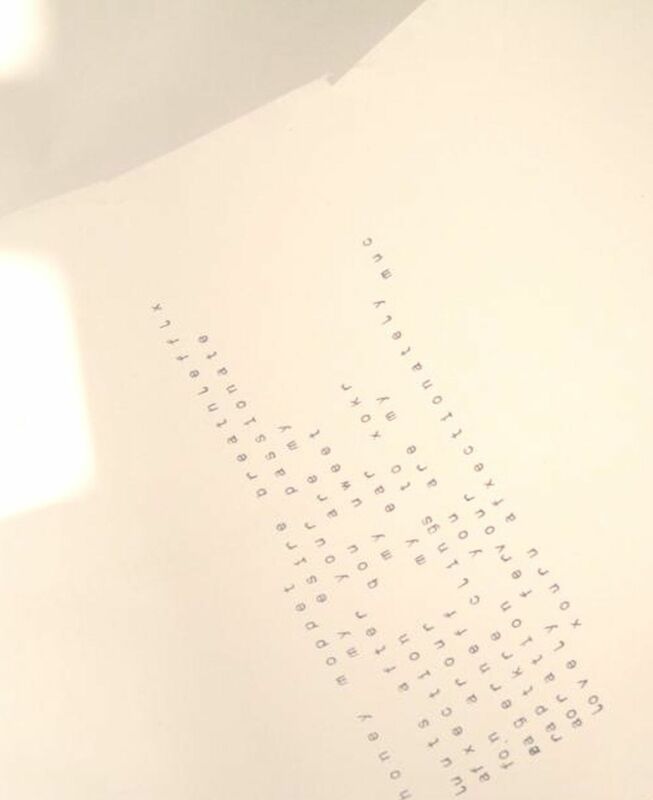 Once a day, at a randomly selected moment, the machine autonomously reads out loud a loveletter on the megaphones mounted on the outside wall of the exhibition venue and prints it on the reconstructed Creed 7 teleprinter from 1931. 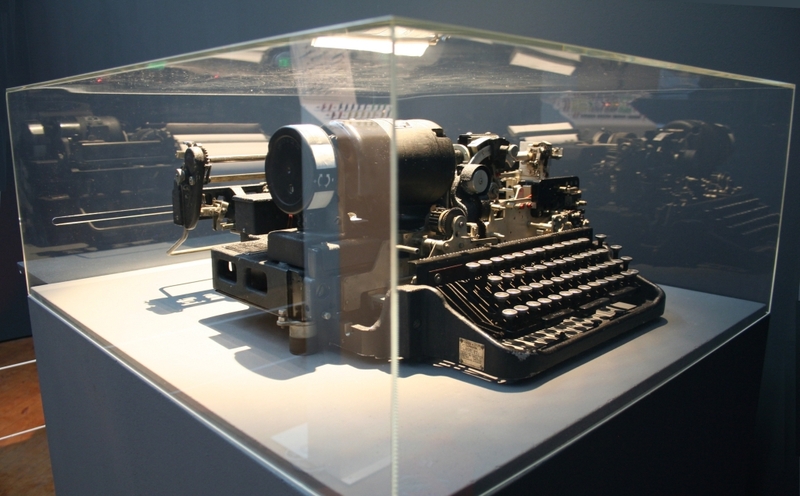 (This machine helped organising the British response to Hitler’s threats.) 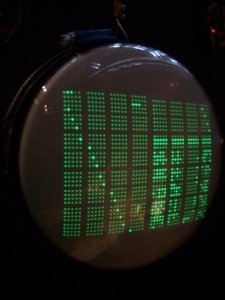 When somebody successfully enters his name, the Mark 1 plays “God Save the Queen” on the “hooter” (loudspeaker). 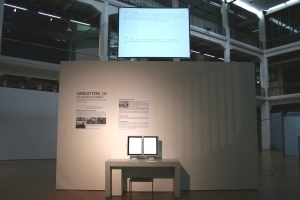 The loveletters generated can be downloaded from the project’s website or be copied onto a usb stick on site. 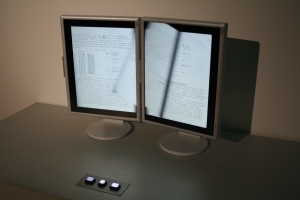 On the electronic tabloid display, the visitor can investigate the historical background of the first computer by studying authentic documents and photos of the time. The lab notebook of one of its main constructors, Geoff Tootill, is presented alongside the maintenance engineers’ logbook from July 1951, all the manuals for the machine (Turing 1952, Prinz 1952) and several sets of photos. 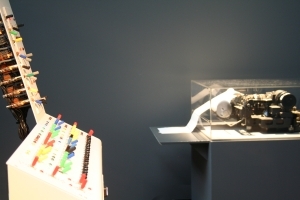 dOCUMENTA notebook: Machine Heart – Das Herz der Maschine. dOCUMENTA 13: 100 Notes – 100 Thoughts, No. 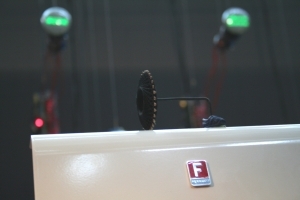 037 (Ostfildern, 2012). 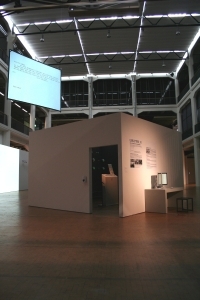 Produced by Kunststiftung NRW; ZKM, Karlsruhe.